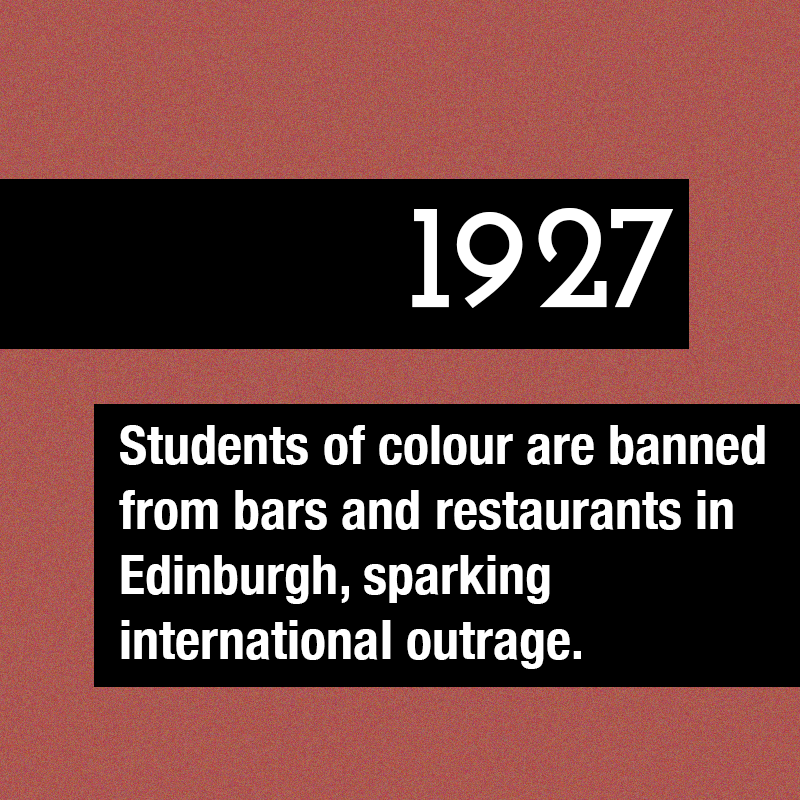 1927 – Students of colour are banned from bars and restaurants in Edinburgh, sparking international outrage. 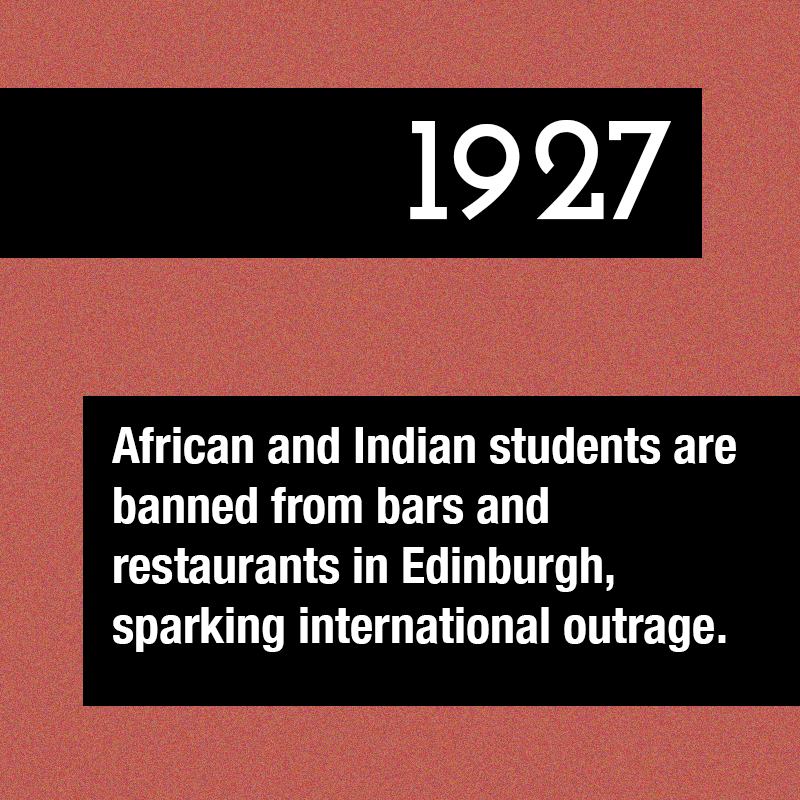 A delegation of African, Indian and Caribbean students together meets the Lord Provost in protest. 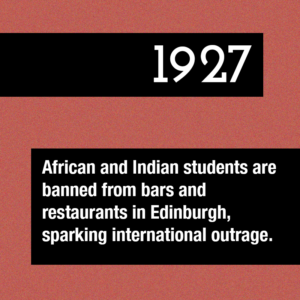 Another future ANC president AB Xuma also graduates.